If you're going away this holiday season or just want to spend more time relaxing and enjoying your garden, Mark Rayner gives you the low-down with these 10 time-saving tips and handy hints for a great looking summer space. A practical mulch such as bark chips or pebbles provides a dual purpose in saving time and looking after plants during the warmer months. Firstly, a mulch will help to suppress those pesky weeds and secondly it keeps the base of plants cooler and retains moisture in the soil meaning you'll spend less time watering. A mulch of well-rotted compost has the added advantage of improving soil condition as well but do keep an eye out as sometimes a thick layer of mulch can harden in the sun, forming a crusty barrier that makes it harder for water to penetrate. Avoid this problem by breaking up crusted mulch with a rake. Keep lawns a little bit longer in summer to encourage a stronger root system. Lawns are always best kept slightly longer in summer - this will help them to develop a stronger root system and also means they'll be slower to dry out in very hot weather, particularly important if you're going away during a dry spell. If in doubt, set your mower to its highest setting in summer. 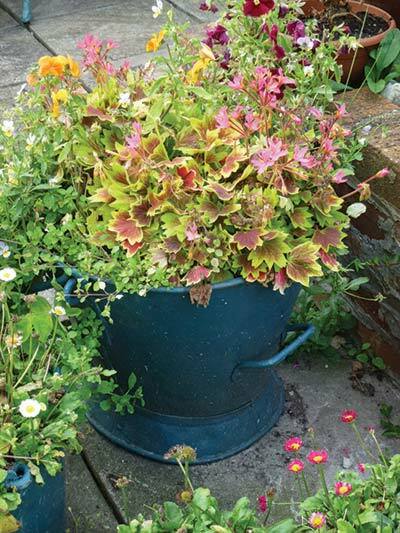 Pretty pot: use pots of low-maintenance summer colour to brighten up a dull deck or patio area. Create your own DIY self-watering system for pots and raised beds by connecting a hose to a raised water barrel or large container and then, with a small drill bit, make a series of puncture holes along the hose pointing directly into every pot or the base of each plant that needs a drink. Fill the barrel with clean water and your plants will have a steady drip-fed supply over several days. It may be necessary to make larger puncture holes for thirstier plants. 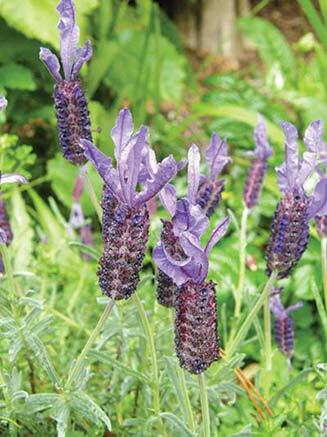 Tough evergreen favourites such as lavender require very little maintenance. As with all good gardening practice, choose the right plant for the right place and you'll instantly boost your available summer leisure time by lessening the need to cosset unhappy plants. In particular, pay attention to any extreme areas of the garden (those parts in constant shade, full sun or direct wind for instance), and pick plants that will thrive in these spots. 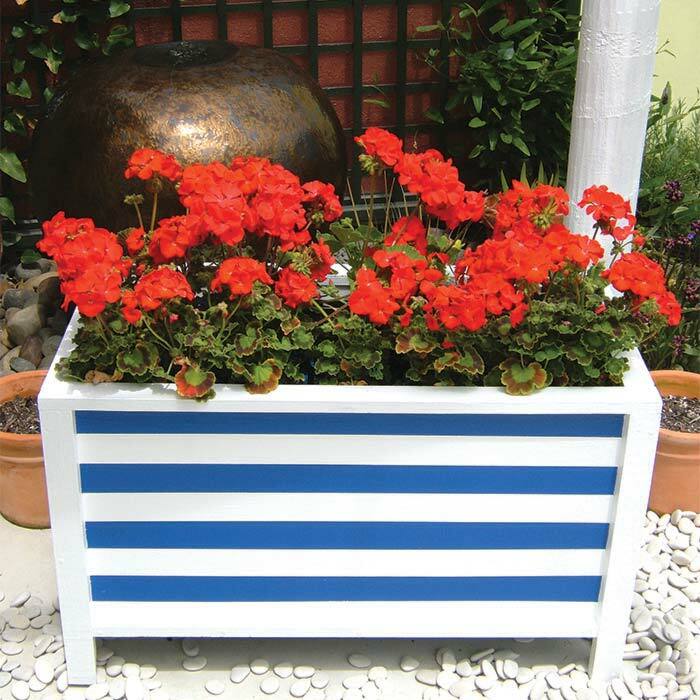 Geraniums (pelargoniums) are long-lasting easy-care beauties - perfect for brightening up a bed or planter through the summer months. Potted plants are a great way to liven up a dull corner of the deck or patio (especially important if you plan on using the area for summer entertaining) but containerised gardening does have its downside in that plants generally require more watering. Help to combat this problem by choosing larger pots and mulch the base of each plant to cut down on evaporation. 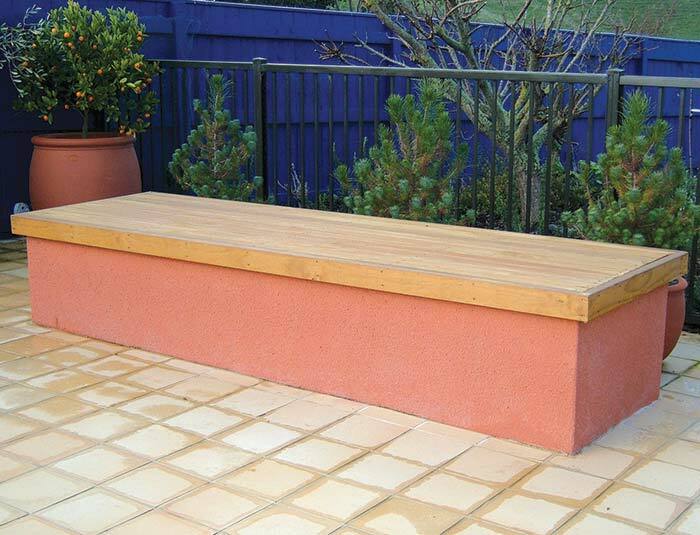 Favour glazed or plastic pots rather than porous terracotta (or solve this problem with an appropriate terracotta sealer) and stand each pot in a plant saucer to retain some moisture at the base. The real joy of containerised gardening (on a small scale at least) is that if you do go on holiday you may be able to farm your potted beauties out to neighbours to baby-sit (and enjoy in your absence). 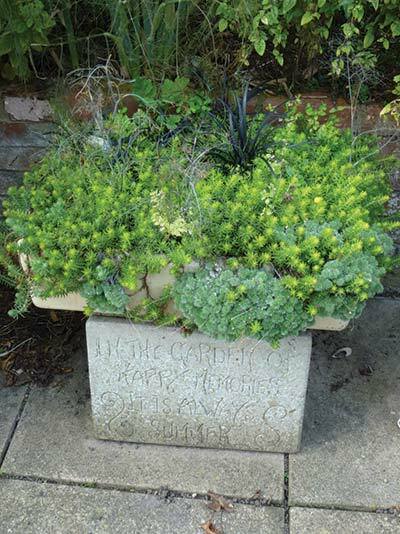 Drought tolerant succulents are a perfect choice for low-maintenance containers. This might seem common sense but many shrubs are automatically lower-maintenance because of their requirements or growth habits. 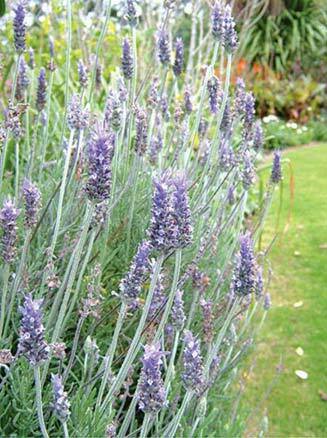 Drought-tolerant evergreen beauties such as lavender and rosemary require very little in the way of care - established plants are unlikely to require watering and their evergreen nature means they'll help to suppress weeds and keep the surrounding soil in shade (helping to retain moisture). As far as care goes, they may simply need an occasional haircut to keep them looking at their best. A good rule of thumb is that plants with very small leaves or silver/grey foliage are more likely to be drought- tolerant. Keep your garden well-watered while you're away by investing in a timed watering system which will ensure your prized plants receive their required drink at the most appropriate time - preferably early morning when the water has a chance to soak into the soil before the sun kicks in. Watering systems that directly soak the soil are generally more efficient than spray-type sprinklers as there is less water lost as mist and evaporation. Alternatively, arrange with a garden- friendly neighbour to come in while you're away - perhaps offering to do the same for them if they go on holiday? If you're going away for a few days, use this opportunity to spruce up any exposed wooden garden furniture by applying a proprietary moss and mould killer before you go away. Many of these products require 48 hours for the solution to take full effect, so while you're away the product is doing its magic. Simply rinse off with clean water on your return and you'll have fresh-looking outdoor furniture once again. 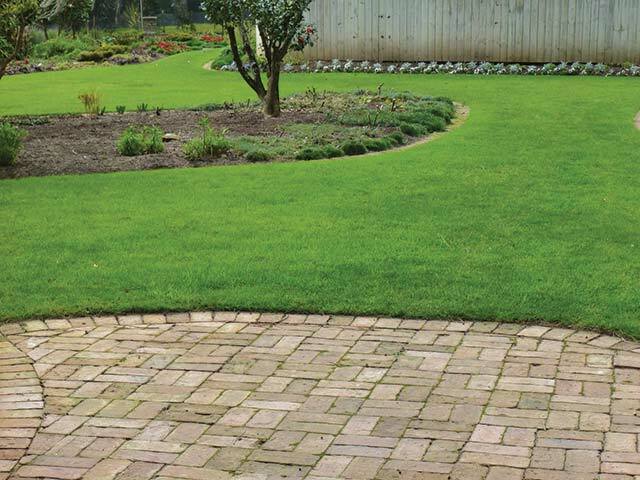 These products can also be used to spruce up paths and decking. Alternatively, paint or varnish any garden seats or tables before you go away to give plenty of time for the product to dry and cure before use. 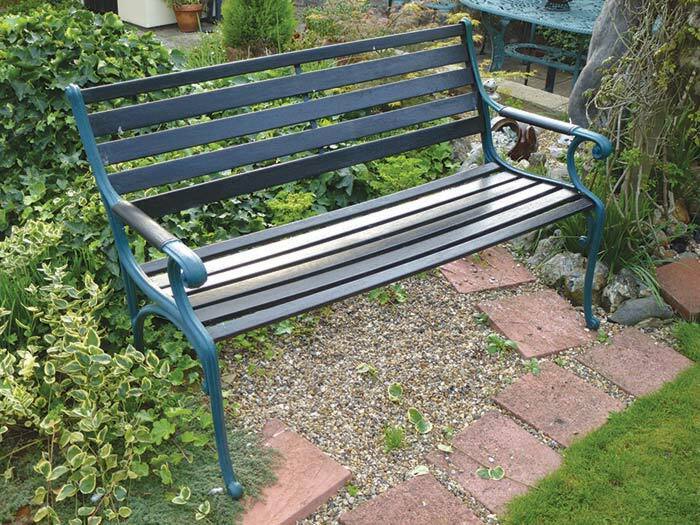 Paint or varnish any garden seats before you go away to give the product plenty of time to dry and cure before use. Seasonal colour is a great way to add an instant boost to any summer entertaining area. To ensure maximum impact for minimum effort choose plants that require little in the way of aftercare. 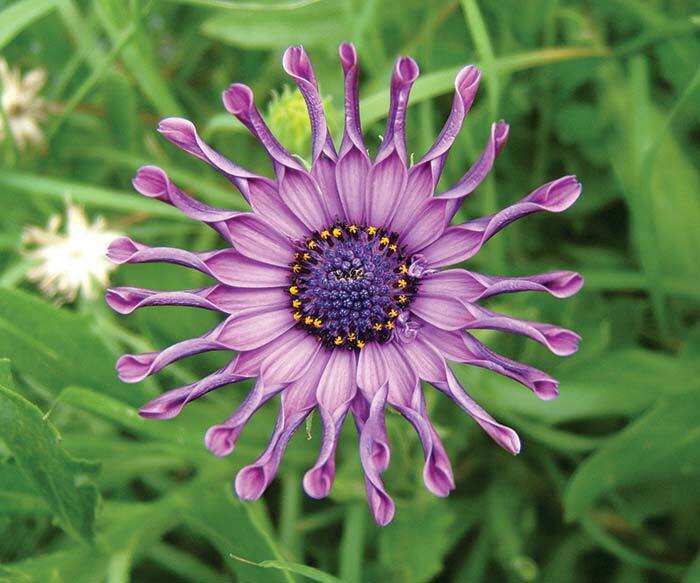 Drought-tolerant flowering favourites such as marigolds, geraniums (pelargoniums) and daisy-like plants (osteospermums and argyrantheums) will provide months of low-maintenance colour - or go the more sculptural route and choose architectural grasses or succulents to provide long-lasting interest. 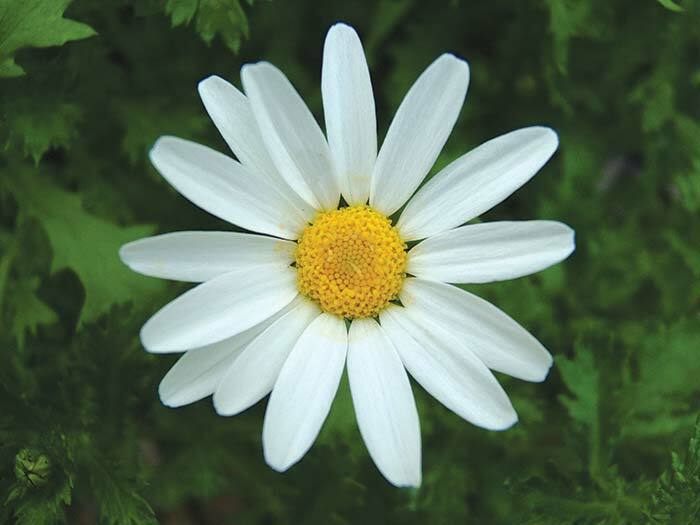 Plants with daisy-like flowers are often easy-care. If you're spending summer at home, consider planting useful culinary herbs and salad crops near the kitchen or adjacent to the barbecue. Treat any outdoor entertaining area as a place to really relax and enjoy the summer months, so incorporate your favourite summer fruits as well as fragrant and tactile beauties to make the outdoor experience a more sensory one. Ensure your special outdoor space has a comfortable place to sit with adequate shelter from the sun and wind - and then just get out there, relax and enjoy it might be even better than a holiday! Create a comfortable, relaxing outdoor space and you might even enjoy it more than a holiday.